Another Monday... but at least this one is like another Friday... I get Veteran's Day off this year! On Friday, I had the privilege of holding The Blog Baton. 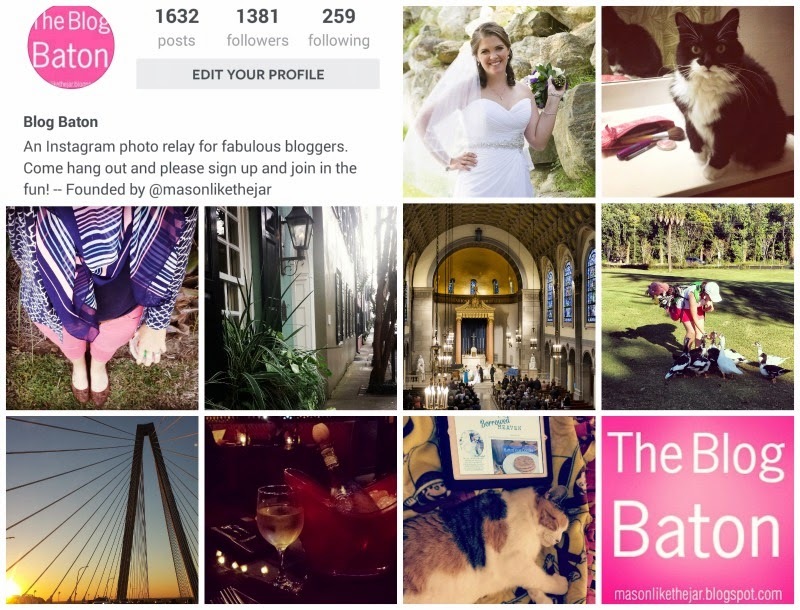 If you haven't heard about it before, @TheBlogBaton is an Instagram account in which a different blogger posts photos about her day everyday. You're asked to post between 6-10 times a day, and I had so much fun really thinking about what I was doing all day: I took a selfie and got caught by people in my office park, had a chance to share a couple of wedding photos, and snapped more photos than I ever have in a one-day span! To learn more about it, visit Mason's blog and sign up! On Saturday, we spent part of the day at the Coastal Carolina Fair. It was an awesome fair and we went during the day, so the crowds weren't bad. We watched a baby pageant (welcome to the South! ), rode the Nemesis 360 (IT WAS AWESOME), and ate tons of fried food: Frosted Flake-crusted chicken on a stick, cheddar nuggets, and a fried combo bucket. What is a combo bucket you ask? 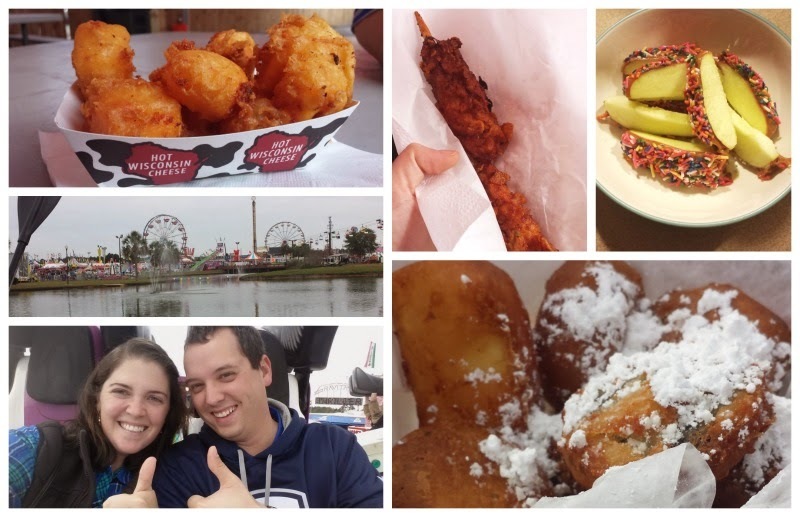 Fried Oreos, fried brownie bites, fried cheesecake, AND THE MOST AMAZING THING EVER: fried cookie dough. Yup, I know what our next deep fryer adventure will be. We even brought home a caramel apple and enjoyed it later that night. 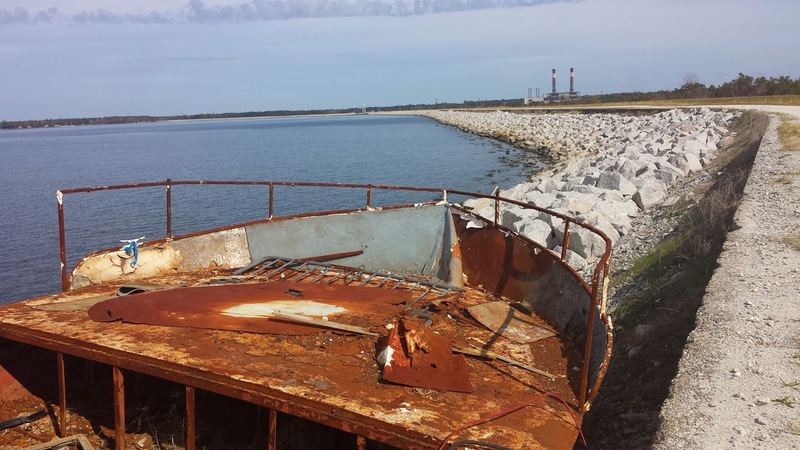 Since we were up in that area, we decided to go back to Lake Moultrie and walk around the levee. Last but not least, Sundays are for ultimate pancakes, disc golf, Christmas wrapping, new recipes, and football...lots and lots of football! Joining Leeann and Kimberlee for Monday Morning Gossip, Biana for Weekending, and Lisa and Bella for Weekend Recap! I do that many pictures anyways in a day - haha! Fair food always looks so good! Oh I just love fair food! Oh my fried cookie dough! I can only imagine! Yum! All of that fried food sounds amazing! That Instagram account looks like a lot of fun. I'll have to check it out. Oh and I have this fear of getting caught taking a selfie all the time...ha!